I have two sisters. They are loved and appreciated. One of them lives in the Czech Republic and I get to see more often. The other, less so, as she is a therapist and healer who travels the world to work with shamans and live in tribal communities in order to perceive their knowledge. 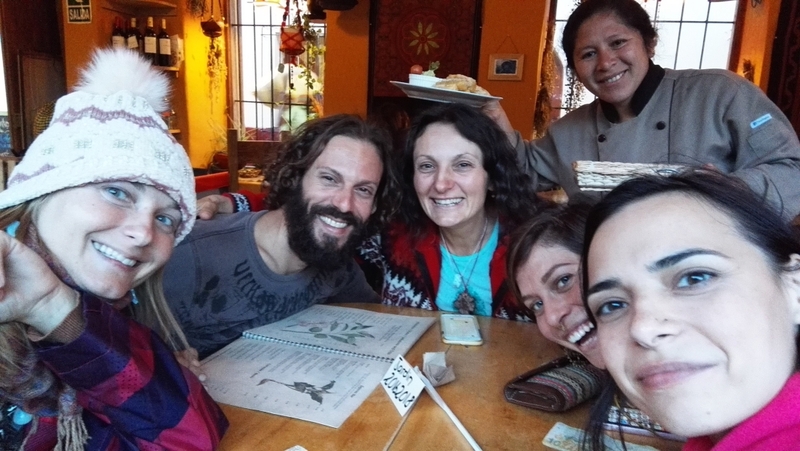 We met in Peru some weeks ago to spend some time together after more than a year of not having seen each other. I came to Pisac with a Czech friend of mine, after a span of time spent in the warmth and sunshine of Brasil, Chile and a few days in Lima. All these places were near the sea and filled with warmth, Santiago de Chile beautifully combining the esprit of the Andes with coastal areas not far from the metropolis. 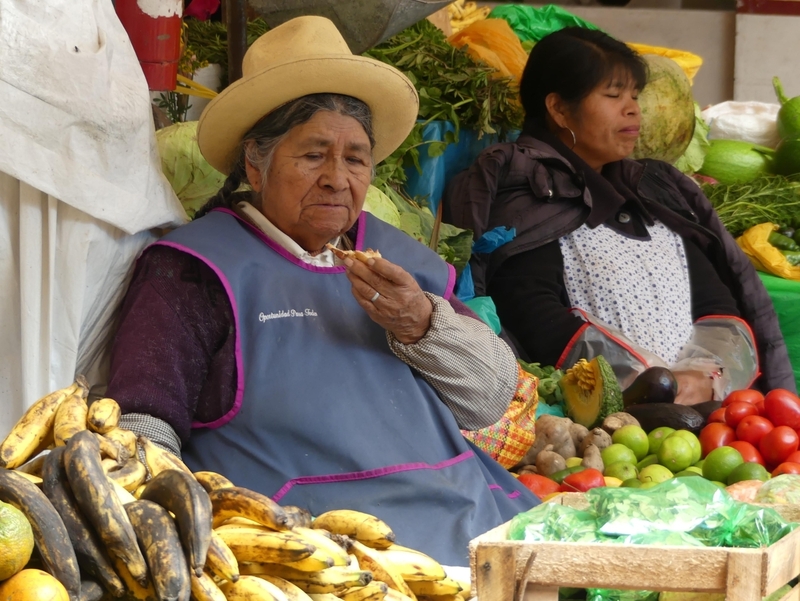 The Andes of Peru were a shock for me with the low temperature and villages and towns located in high altitudes. 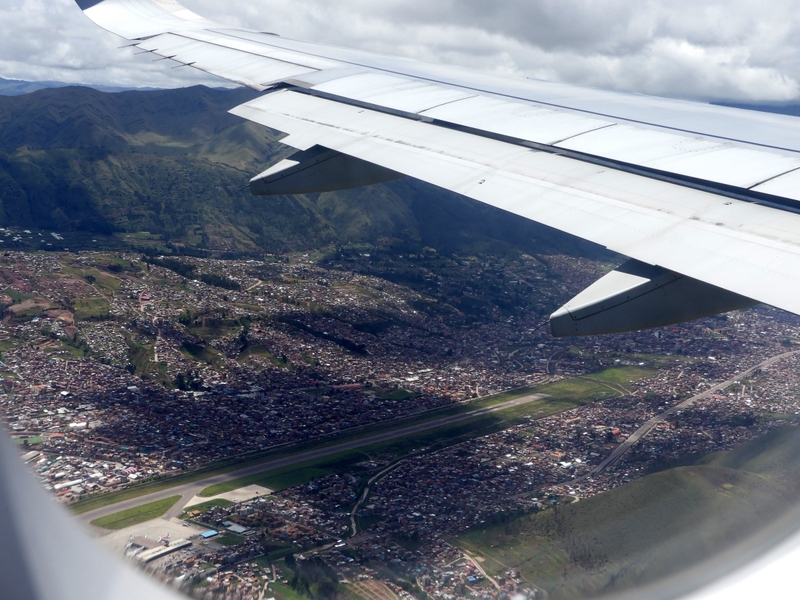 Even my arrival to Lima from Santiago de Chile was problematic. For the first time in my life, my suitcase got damaged badly. After three hours of quarrelling with the negligent airline staff, wretched, hungry and thirsty, I was given a reference number of a complaint that was sent to Santiago. Some days later, after more emails exchanged, I eventually got a $ 90 compensation (while the new suitcase cost me double the price and the “old“ one – about nine months old – also). The trouble continued when flying to Cusco from Lima, as my friend entered a wrong plane (as she got onto a wrong bus to the plane and nobody checked the boarding ticket on the plane) and I had to wait for her for two hours in the miniature airport of Cusco where there are no benches upon arrival and no wifi! 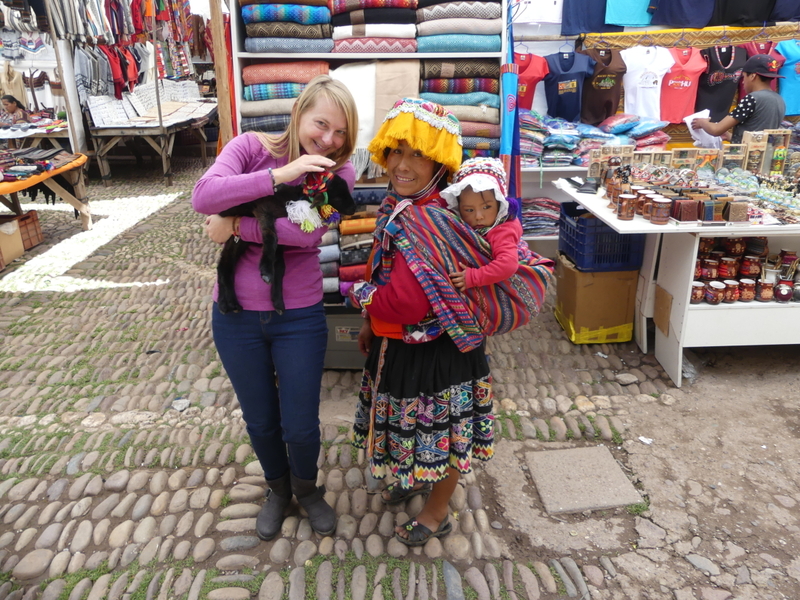 We got some bad rains while in Pisac and Machu Picchu and I did suffer from vertigo and nausea due to the altitude on some days. The coca leaves which are eaten regularly and legally in Peru did not help and I truly dislike their taste anyway. When hiking in the mountains, one could enjoy some splendid sceneries with streams and waterfalls, yet, the energy of the ancestral indigenous people felt somehow too intense which might be due to the brutal violence that was happening in some of the places (children and women sacrifices etc.) in the past. I mostly wanted to come to the mountains to meet up with my sister and to hike of the Rainbow Mountain. But instead of fulfilling this dream of mine, when I was physically ready to take the hike, I ended up dealing with two puppies we found in one of the mountain villages, Calca, standing over the eight-hour-dead body of their mother. We questioned a village woman peeling corn nearby to find out two of the puppies got astray and one was already dead too, lying near the mum who was starved to death by the family who owned her and simply – just like so many families across the world – did not care at all… Drowned in tears I did manage to drive myself to action and with my sister and a Facebook stranger we managed to find help for the puppies via local animal rescue association. Through the dealings with the puppies I learned a lot. There had been many findings for me, among others that “the world is filled with love and light as well as pain and suffering” and that “not all rainbow shiny happy esoteric people are ready to help and act and love when needed”. For some, the spiritual clothing is merely a mask. They are enclosed in their inner world of peace and not ready to step out of it into the reality of everyday life. The more I appreciate the help of those who understand that “you cannot find peace by avoiding life” (Virginia Woolf). 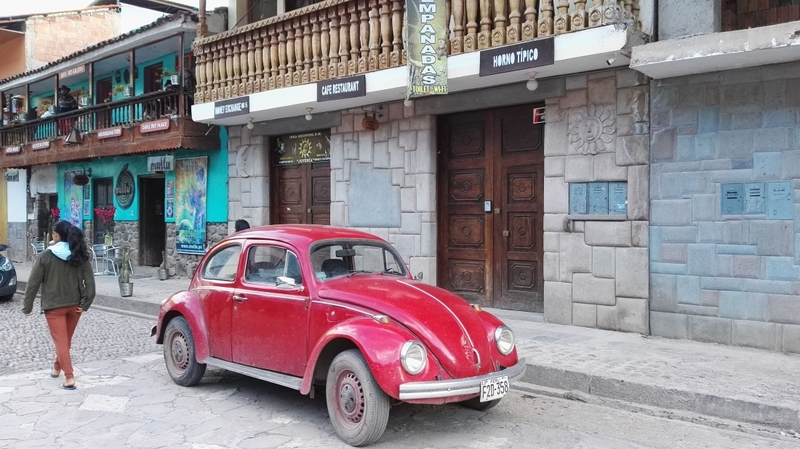 If you come to the Andes mostly to hike up some of the renowned mountains – Machu Picchu or the Rainbow Mountain – stay in Cusco. Most agencies and collecting taxis would be starting from there and you can easily arrange for a hotel/hostel pick up too. 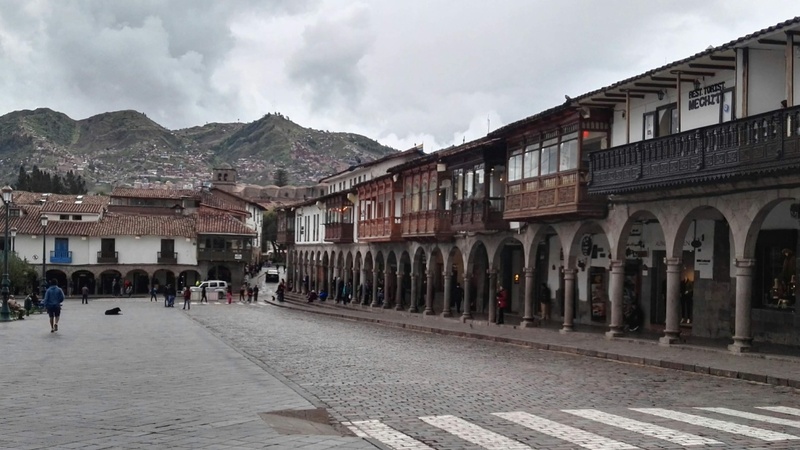 Cusco is quite a nice town with stone houses and pretty little squares and if you are ok with taxi drivers chasing you up constantly and all the other “tourist things” you will like the place. You can have your night life here, and many vegan cafés and restaurants that are so popular nowadays. 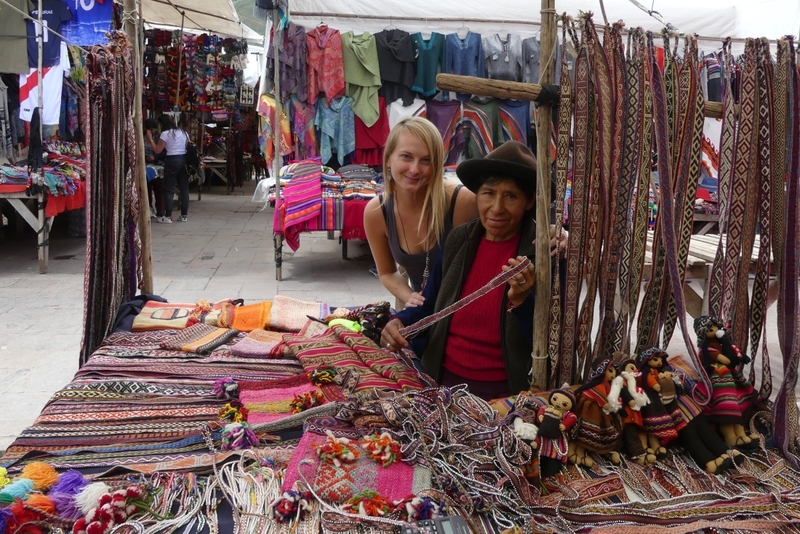 If you arrive as a merchant, entrepreneur and such, again, Cusco is your place, mainly the San Pedro market – not far from the main Plaza de Armas square – where you get anything from a kg of paolo santo for 20 soles to alpaca scarfs for 20 soles, jewellery, crystals, souvenirs (a lama keyring for one sole), music instruments (rain rattles, charangos), food and mild, legal drugs such as rapé, mambe or san pedro powder. 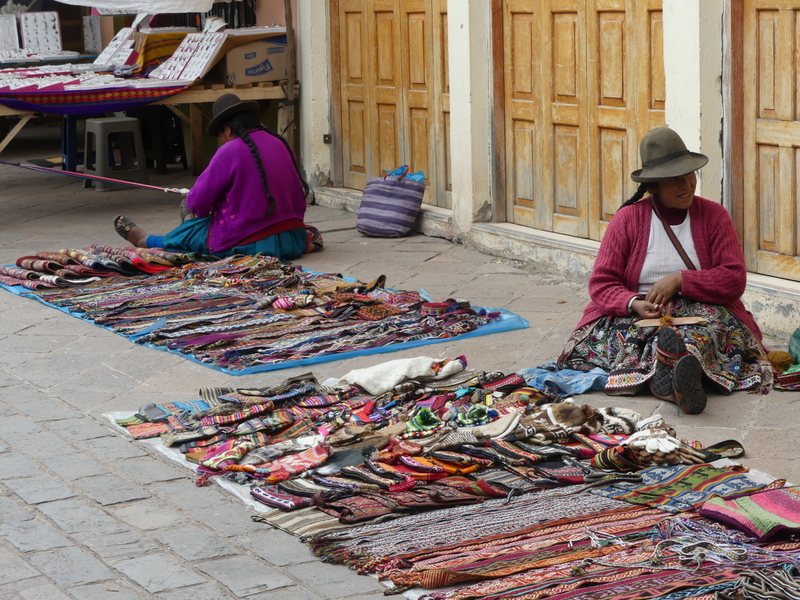 In 1983 Cusco was declared a World Heritage Site by UNESCO. It has become a major tourist destination, hosting nearly 2 million visitors a year. The Constitution of Peru designates it as the Historical Capital of Peru. When in Cusco, you can give a try to the indigenous Killke culture walled complex of Sacsayhuamán. 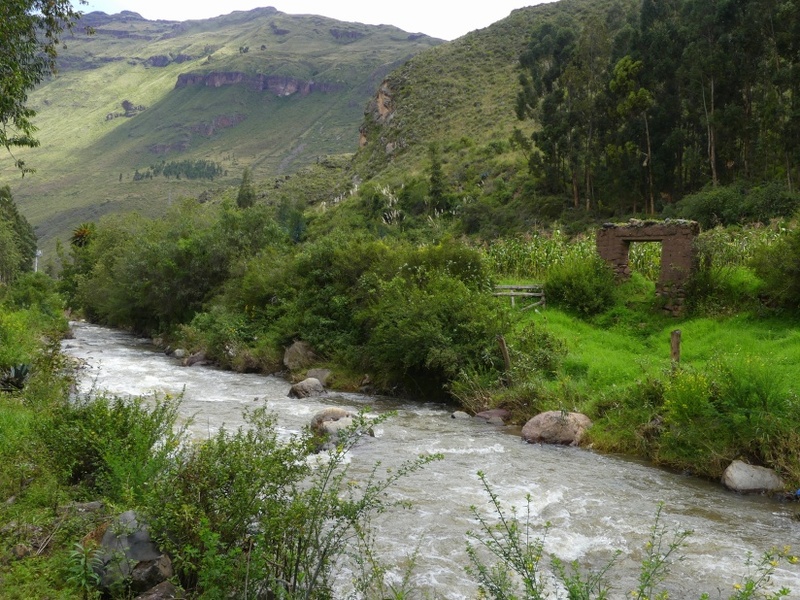 Less-visited ruins include: Incahuasi, the highest of all Inca sites at 3,980 m, Vilcabamba, the capital of the Inca after the capture of Cusco and the sculpture garden at Ñusta Hisp’ana. 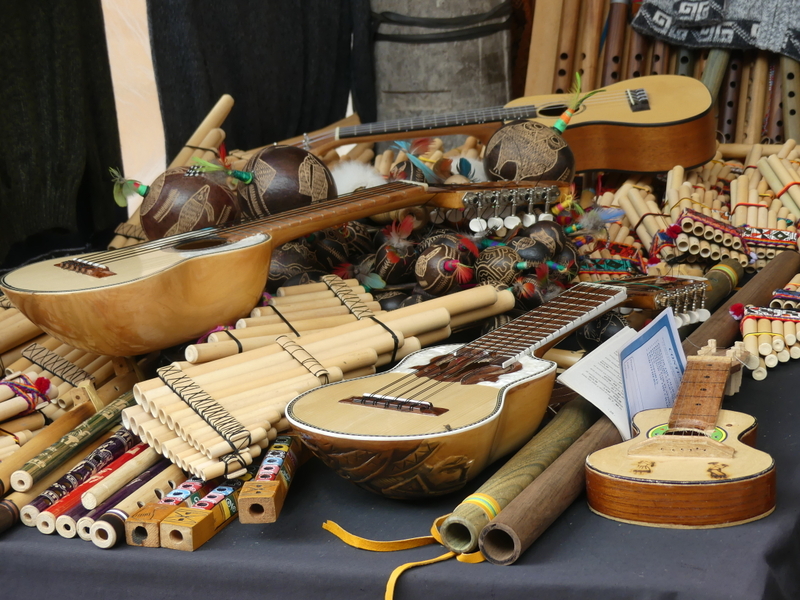 If you are keen on local art and crafts, you can enjoy a walk through the Barrio de San Blas neighbourhood which houses artisans, workshops and craft shops. It is one of the most picturesque sites in the city. 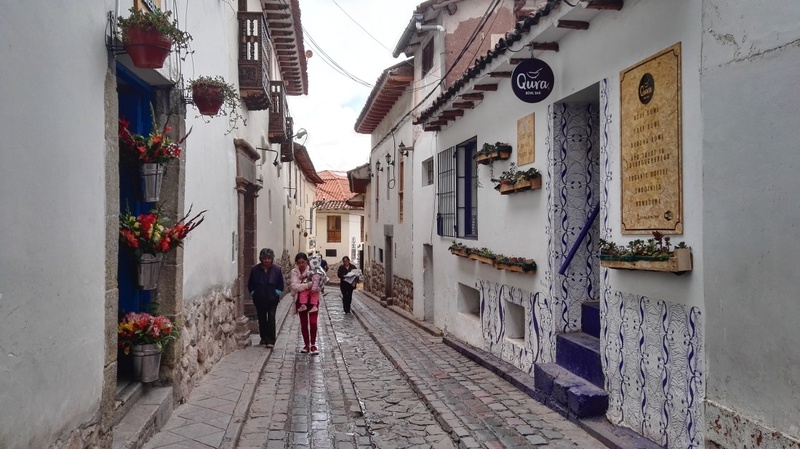 Its streets are steep and narrow with old houses built by the Spanish over important Inca foundations. 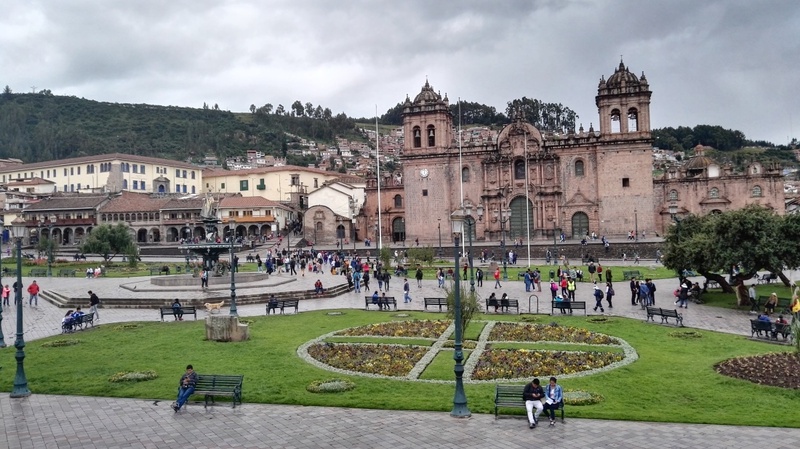 It has the oldest parish church in Cusco, built in 1563. Now, if you come to the mountains mostly for “spiritual growth and connection“ and you want to practice yoga, go to temazcals, receive kambo and join the ayahuasca circles, you´d better stay in Pisac, situated right amidst the Sacred Valley, on the Vilcanota River, a small, calm, almost sleepy town, where the mountains are a walking distance away only (while in Cusco you usually need to take a cab to reach the hiking trails and paths). Ask at the tourist centre (where they speak no English) in the main square, Central Plaza (where there is a nice, small market too, which grows big on Sundays as people from the surrounding communities come together to sell and buy produce, crafts and other supplies) or in the local cafés and restaurants (for some reason a Sunday meeting point for all those who come to offer spiritual work is the Sacred Sushi) for the current offer of classes or circles you could join – you can also gain some info in the local laundries (where you get a kg of your clothes washed, dried and folded for approx. 4 soles). 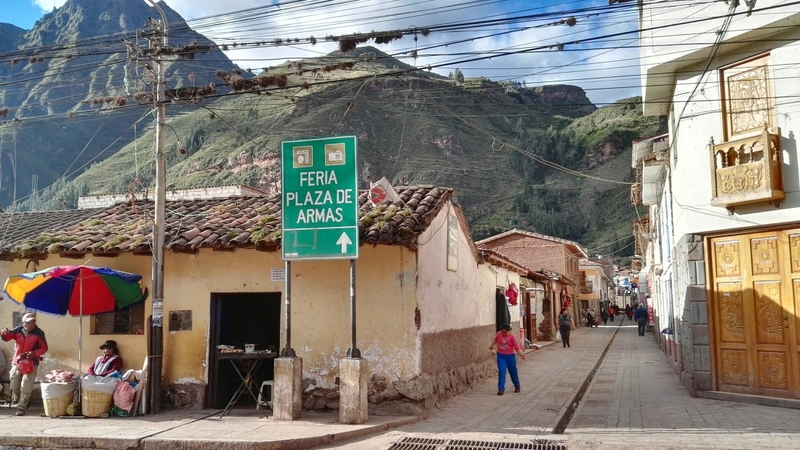 Commonly, people join the Sacred Valley Tribe for the ayahuasca circles, but please, do not consider this an advert, I haven’t been to this particular one myself. 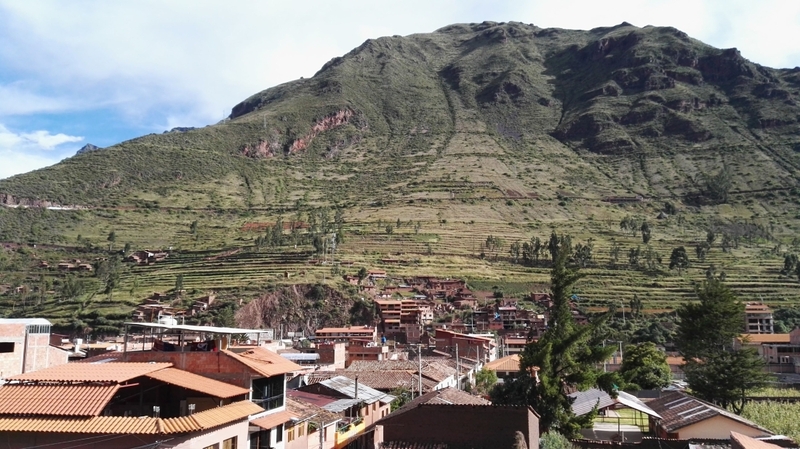 Pisac is also a place for all those who are coming from the jungle after ayahuasca ceremonies, diets and other “programmes” carried out amidst the local tribes. You can relax here, after the strenuous physical and mental efforts, get some good food and a “time-off” from everything and everyone, if you wish. Camping is allowed here, so you can stay anywhere in the mountains around the town in your hammock if that´s what you like, coming down to town just for some essential supplies. As its cold here, mosquitoes are rare, which is a nice change from the permanent jungle-scratch as I call the results of mosquito attacks. 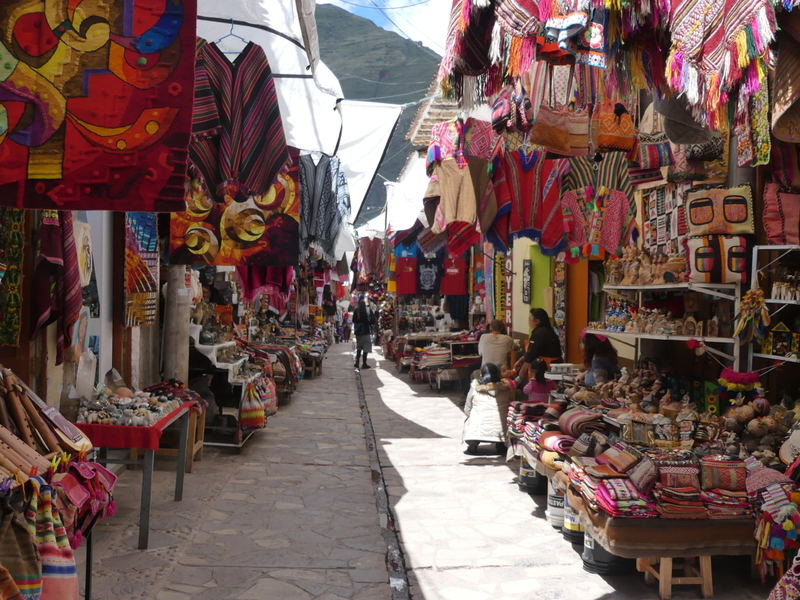 The altitude of Pisac is slightly lower than that of Cusco (which reaches 3,400 m of elevation) – just 2,972 m.
Visitors to Cusco would be often wearing casual or hiking clothes while those in Pisac pride themselves in wearing colourful, rainbow-like, natural materials, local production clothing including the alpaca and lama scarfs, hats, and possible gloves and calf slips. The two towns are about 45-min car drive away on one road (which is sometimes closed due to stone falls), and about an hour and a half car drive on the other road. 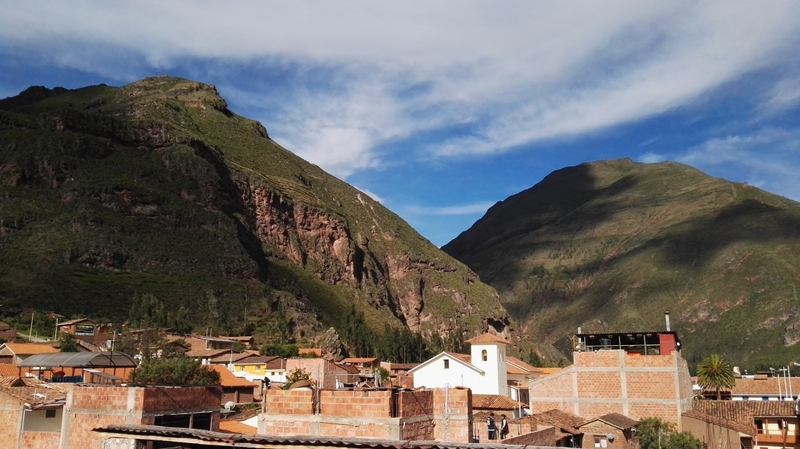 Pisac is known for its Inca Písac ruins, which lie atop a hill at the entrance to the valley. The ruins are separated along the ridge into four groups: P’isaqa, Inti Watana, Qalla Q’asa, and Kinchiraqay. Inti Watana group includes the Temple of the Sun, baths, altars, water fountains, and a ceremonial platform. Qalla Q’asa, which overlooks the valley, is known as the citadel. 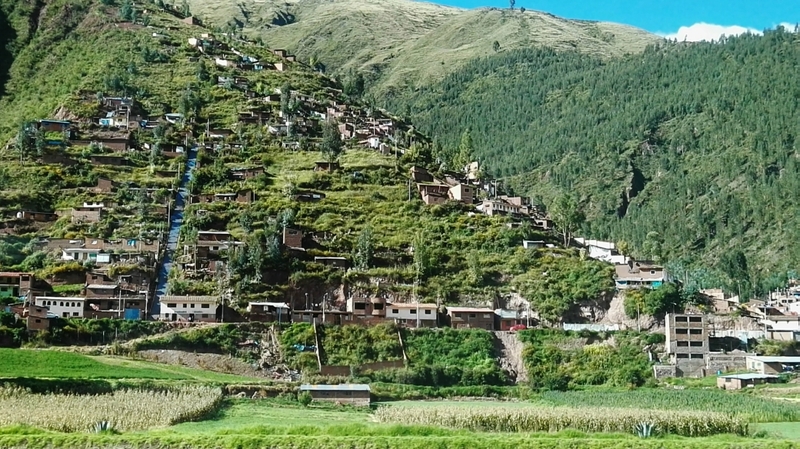 The Inca constructed agricultural terraces on the steep hillside – known as Moray terraces, which are still in use today. The terraces enabled the production of surplus food, more than would normally be possible at those high altitudes. They offer some amazing sights and overlooks – and the same is true for e.g. the Maras salt mines. 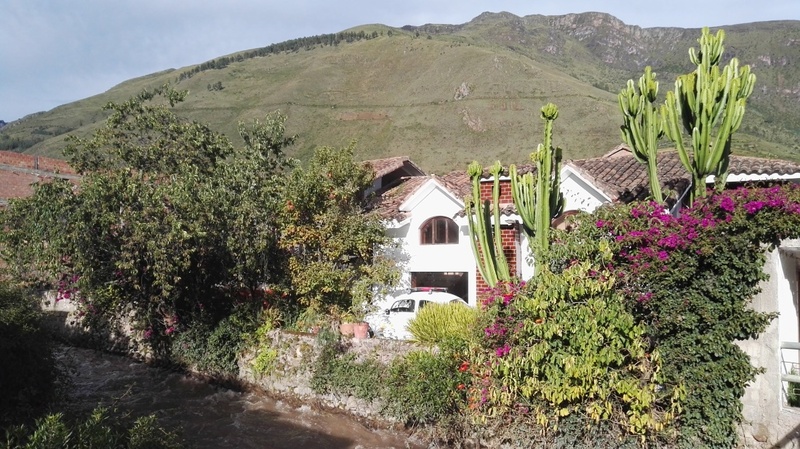 Living in Pisac, you will find it easy to explore other nearby villages, such as Calca, Urubamba, or Ollantaytambo with its renowned fortress. 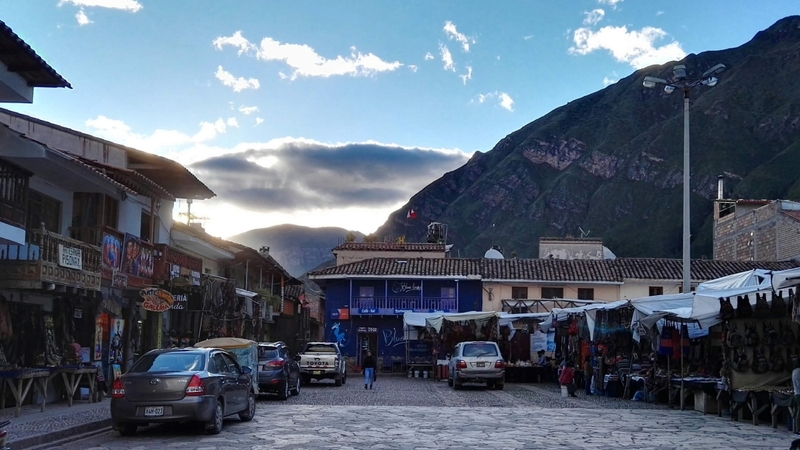 This town is known mostly as the Peru Rail starting point for the hour and a half long train ride to the town of Machu Picchu situated below the world famous National Park. 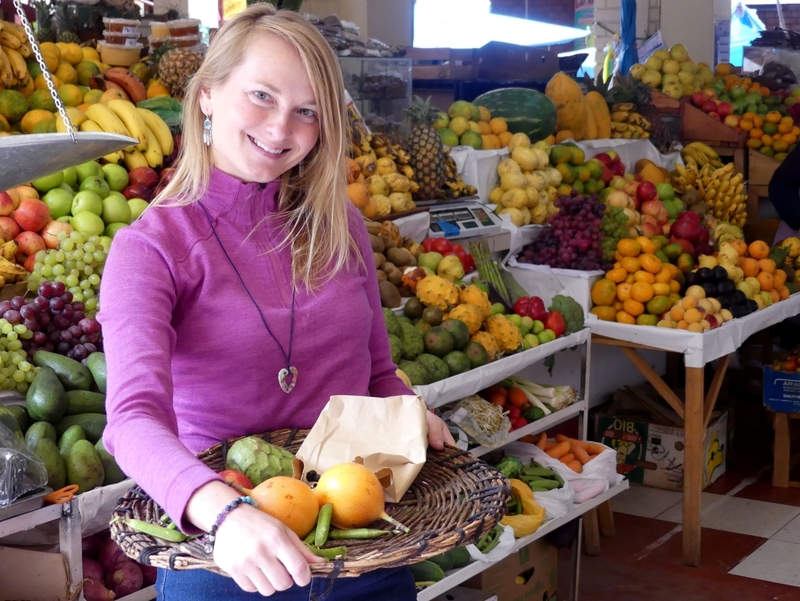 If you are interested in reading more about Machu Picchu, see the following article.